Are you looking to brighten up your bathroom or kitchen? Maybe decking out a bar area or cinema room? 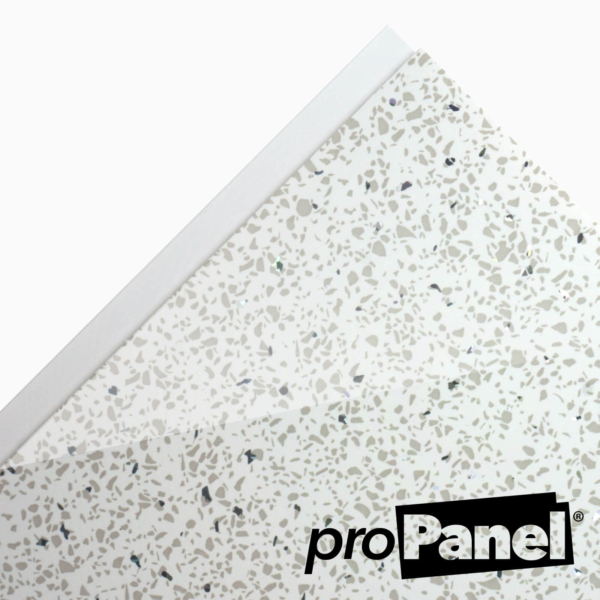 Try one of our most popular sellers – made from PVC these 5mm white sparkle cladding panels will add some glitz. Each 5mm white sparkle panel has reflective sparkles embedded in the design. When they catch the light you get a reflection with a beautiful rainbow effect. Certainly an effect tiling won’t achieve. 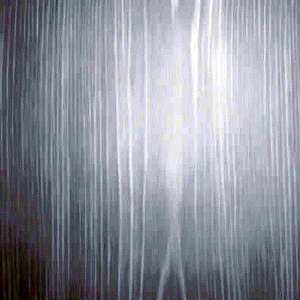 Cladding your walls with this white sparkle effect is simple and cost effective. It’s cheaper than tiling and even plastering. It creates no mess and is easy to clean. What’s more the white sparkle effect looks great. You can even mix and match sparkle colour styles. 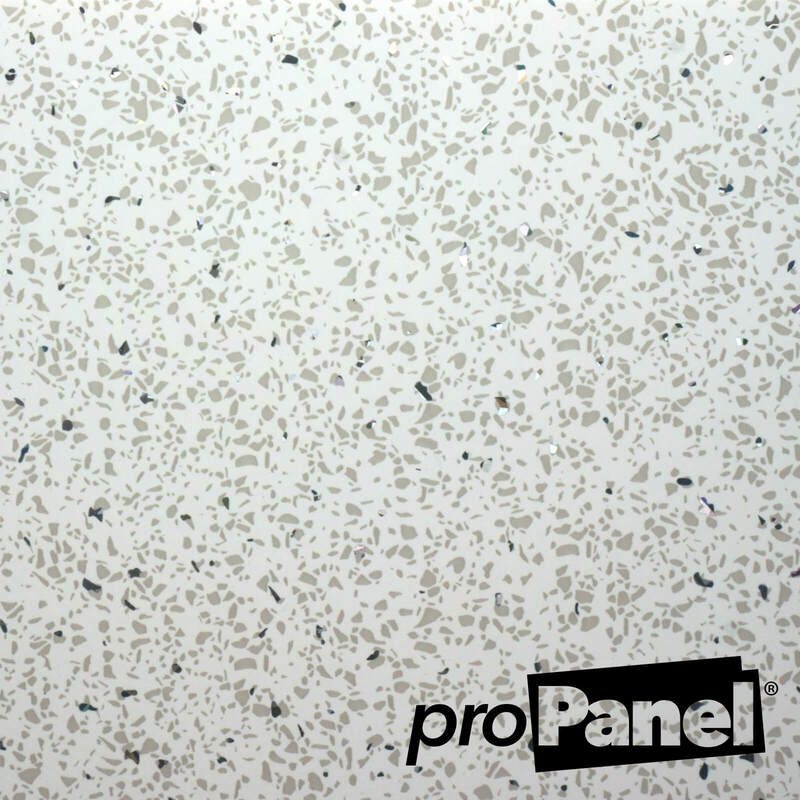 Why not use the 5mm white sparkle alongside these 5mm black sparkle cladding panels to provide a nice contrast in colours. Checkout our other sparkle cladding panels for further colourful options. These white sparkle cladding panels slip together with a unique click-lock system that easily covers a large area with each panel. You can clad an area in a fraction of the time that tiling would take. Choosing white sparkle cladding will help you create a unique and stylish look for many areas in your home as it is incredibly durable. White sparkle cladding is not just for the home. Even shops, restaurants and salons use this cladding to get a bright, modern feel, giving the right impression to their customers.